We try to review a research article each week. Because so many of you saw the 60 Minutes episode this week on iPad applications (such as Proloquo2go) for children with autism, we thought we would spring board off that wildly popular topic. In case you missed it, you can follow the link above to see the entire clip. 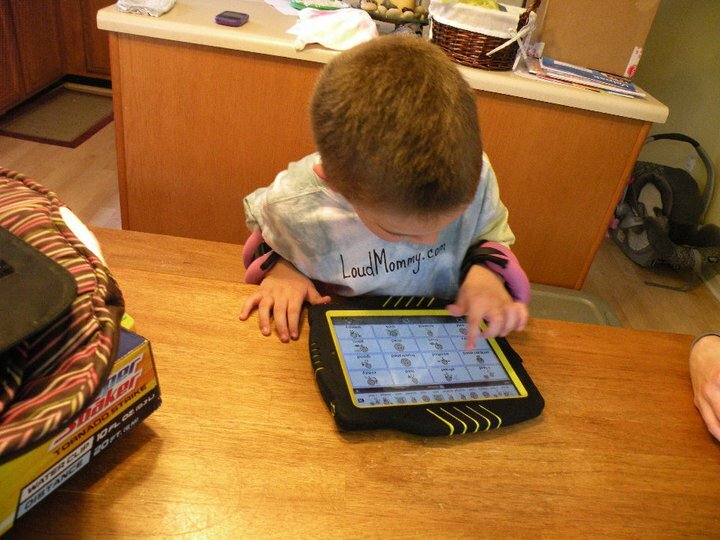 As was asked at the end of the interview, many people wonder if children will ever go on to talk after using augmentative and alternative communication (AAC) strategies such as the iPad. In light of this, we are going to review an article to answer the question. Ralf Schlosser and Oliver Wendt authored the article. The American Journal of Speech and Language Pathology published it in 2008. The authors set out to review “the effects of augmentative and alternative communication (AAC) intervention on speech production in children with autism or pervasive developmental disorder-not otherwise specified” (PDD-NOS). The authors reviewed 9 studies that were published between 1975 and 2007. The authors extracted data for each child who participated in the studies. This resulted in a total of 27 participants (3 of which participated in one of my own studies! Please forgive me for the shameless self-promotion). The authors noted that most studies taught children to make requests for items and activities. Additionally, the authors noted that researchers used a variety of communication intervention strategies. These included the Picture Exchange Communication System (PECS) and some version of milieu teaching (e.g., Enhanced Milieu Teaching or Prelinguistic Milieu Teaching). In summary, if your child is non-verbal and you are considering the use of an AAC strategy, it is unlikely that the device will impede your child’s later language production. Instead, use an AAC device while simultaneously ensuring that your child develops speech. Remember, speech imitation (also known as vocal imitation) occurs after the child learns to do motor imitation so start with basic motor imitation and move on to vocal imitation. We wish you the best in helping your non-verbal child develop language.